If you ask many what in their opinion is the greatest pirate movie of all time, they might well say, "Captain Blood." Others might say, "The Crimson Pirate." Those wholly unfamiliar with classic movies might even say, "Pirates of the Caribbean: The Curse of the Black Pearl." That having been said, many true connoisseurs of the genre will likely say, "The Black Swan." 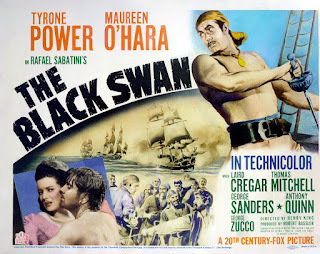 The Black Swan (1942) starred what would be two true superstars of the genre, Tyrone Power and Maureen O'Hara. It also featured George Sanders in one of his best turns as a villain. As to swashbuckling, it featured more than enough derring-do to fill another two movies. The Black Swan was ostensibly based on the novel by Rafael Sabatini, who also wrote the novels The Sea Hawk, Scaramouche, and Captain Blood. Indeed, the movie is called Rafael Sabatini's The Black Swan in the opening credits and in the writing credits the movie is said to be "from the Novel by Rafael Sabatini". In truth The Black Swan owes very little to the novel from which it took its name. The only character the two have in common is Henry Morgan, the historical Welsh privateer who became Lieutenant Governor of Jamaica. Rather than being actually based on the novel of the same name, The Black Swan features an original story that, nonetheless, seems like something that Rafael Sabatini might have written. If The Black Swan is regarded as one of the classics of the pirate movie genre, it is because it emerged from a rather remarkable creative team. Henry King had been a director since 1915 and had already directed such classics as Tol'able David (1921), Stella Dallas (1925), In Old Chicago (1937), and Jesse James (1939). The screenplay was written by none other than Ben Hecht and Seton I. Miller. Ben Hecht had already co-written the classic play The Front Page with Charles MacArthur, and had worked on such films as Scarface (1932), Nothing Sacred (1937), and Gunga Din (1939). Seton I. Miller already had experience in the swashbuckling genre when he co-wrote the screenplay for The Black Swan, having worked on the screenplays of some true classics of the genre: The Adventures of Robin Hood (1938) and The Sea Hawk (1940). The Black Swan would mark the first swashbuckler film in which Maureen O'Hara was ever cast. As her career progressed she would star in enough swashbucklers that today she is one of the actresses most identified with the genre. Even in The Black Swan Miss O'Hara's character, Lady Margaret Denby, is dramatically different from heroines in previous swashbuckler movies. Unlike the sort of passive heroines often played by Olivia de Havilland in movies of the genre, Lady Margaret had a mind and will of her own. She could take whatever the men dished out to her and dish it right back at them. She could easily be described as a "fiery redhead" or an "Irish spitfire"
The rest of the cast were well suited to their roles as well. Thomas Mitchell, now best known as Gerald O'Hara in Gone with the Wind and Uncle Billy in It's a Wonderful Life, played Jamie's lieutenant Tom Blue. George Sanders was perfect as the villain of the piece, Captain Billy Leach, as was Anthony Quinn as his first mate, Wogan. Laird Cregar not only looked like historical figure Sir Henry Morgan, but behaved as many of us imagine he would have in real life. While The Black Swan boasted an excellent screenplay and a truly fine cast, it also boasted as much action as any swashbuckler fan could ever want. The action went well beyond swordfights, of which there are plenty in the film. The Black Swan is remarkable for its scenes of ship to ship battle--indeed, it even opens with one before the credits. What is more, the ships in the film are intricately designed and look very realistic. Of course, the shooting of any swashbuckler film was apt to be rough and tumble, and The Black Swan was no different. That having been said, some of the mishaps on the set came from what at the time was probably an unexpected source. Columnist Sara Hamilton visited the set one day, having been told how nice a person Maureen O'Hara was. She noticed Tyrone Power with a swollen lip, who told her, "Maureen hit me." A few minutes later she ran into George Sanders, who told her, "Maureen hit me with a bottle." Unlike many actresses, apparently when Maureen O'Hara was called upon to hit one of her co-stars, she actually hit them. Maureen O'Hara admitted, "I had to smack him (referring to Tyrone Power) in the face seven times, and I know how to smack." With the United States entering World War II, an effort was made to shoot scenes in as few takes as possible. Amazingly enough, around thirty scenes in The Black Swan were shot in only one take. 20th Century Fox felt that the chemicals used to develop film would be better used by the military. The Black Swan proved to be a hit at the box office. It was the sixth highest grossing film in 1942, one of the banner years in film history. It also won the Oscar for Best Cinematography for cinematographer Leon Shamroy, and was nominated for the Academy Awards for Best Visual Effects (Fred Sersen, Roger Heman Sr., George Leverett and Best Original Score. Seen today it is easy to see why The Black Swan was so well received upon its initial release. The film has plenty of action, including sword fights and ship to ship battles. What it is more, it benefits from very clever dialogue, most likely courtesy of screenwriter Ben Hecht. The cast does remarkably well with the material, with Tyrone Power and Maureen O'Hara in particular playing well against each other. In many respects The Black Swan is a nearly perfect movie, with an even blend of excitement, romance, and humour. There are few pirate movies that could ever match it for its sheer amount of swashbuckling fun. George Barris, the car customiser who designed such famous cars for television as the Batmobile and the Munster Koach, died November 5 2015 at age 89. George Barris was born George Salapatas in Chicago on November 20 1925. He was only three years old when his father sent him and his older brother Sam to live with an uncle in Roseville, California after the death of their mother. George Barris took an interest in automobiles at an early age, building model cars out of balsa wood when he was only seven years old. He was only 13 years old when he and his brother restored a 1925 Buick. He attended San Juan High School in Citrus Heights, California and swept the floors of a local auto body shop after school. After graduating high school he moved to Los Angeles and opened his custom car shop on Imperial Highway in Bell, California. His brother joined him at the shop after serving in the United States Navy during World War II. George Barris both built and raced his own cars as well as designing custom cars for private buyers. In 1948 a Buick that Mr. Barris had customised was featured in Hot Rod magazine. In 1949 he founded the organisation Kustoms of America, which had evolved out of the Kustom Car Club Mr. Barris had formed while still a teenager. In 1953 George and Sam Barris customised a 1951 Mercury Club Coupe for their customer Bob Hirohata. The "Hirota Merc", as it came to be called, attracted a good deal of attention. It was featured in the March 1953 issues of Hot Rod and Motor Trend, and the October 1953 issue of Rod and Custom. It also appeared in the 1955 crime drama Running Wild. Hollywood having taken notice of George Barris, he was hired to build and customise cars for the 1958 movie High School Confidential. He designed the Golden Sahara car for the Jerry Lewis movie Cinderfella (1960). The Sixties would be George Barris's most active period in designing vehicles for Hollywood. He designed the Clampetts' truck on The Beverly Hillbillies from a 1922 Oldsmobile base. George Barris's shop was also responsible for designing both the Munsters Koach and Drag-u-la for The Munsters. By far the most famous car designed by his shop was the Batmobile for the Sixties TV show Batman. Dean Jeffries had been hired to design the Batmobile, but could not do so when ABC decided that Batman would debut in January 1966 rather than September 1966 as originally planned. The project then went to George Barris, who took a 1955 Lincoln Futura concept car and transformed it into the Batmobile. The Futura itself had appeared in the movie It Started with a Kiss (1959). In the Sixties George Barris also designed Joe Mannix's roadster on the detective series Mannix, Rufus Butterworth's taxi on the 1968 sitcom The Good Guys, The Banana Splits' Buggy on the Saturday morning TV show of the same name, and The Bugaloos' Buggy on the Saturday morning show of the same name. Mr. Barris also did car customisation for films in the Sixties, including For Those Who Think Young (1964), Marriage on the Rocks (1965), The Silencers (1966), Out of Sight (1966), Fireball 500 (1966), and Thunder Alley (1967). In the Seventies George Barris was responsible for the replica 1914 Stutz Bearcats used in the short-lived 1971 series Bearcats!. He also customised cars for the films Supervan (1977) and The Car (1977). In addition to his work in film and television, George Barris also customised and modified vehicles for many celebrities, including Glenn Campbell, Bing Crosby, Zsa Zsa Gabor, Bob Hope, Elton John, Dean Martin, Elvis Presley, and John Wayne. George Barris's shop also created replicas of cars that were not originally designed by them, including replicas of the Monkeemobile from The Monkees, the General Lee from The Dukes of Hazzard, and KITT from Knight Rider. George Barris also served as a producer on the films Juke Box Racket (1960), Mag Wheels (1978), and Disco Fever (1978). He served as a co-director on Juke Box Racket and a writer on Disco Fever. Alongside fellow customiser Dean Jeffries, George Barris was largely responsible for popularising car customising in the Fifties and Sixties. Mr. Barris had a gift for self promotion and the attention he drew to his designs as early as the Fifties helped publicise car customising in the United States. Of course, Mr. Barris's gift for public relations would have come to naught if he had not been a very fine customiser himself. Either he or his shop created some of the most iconic vehicles in the history of television. The Batmobile, the Munsters Koach, the Clampetts' truck on The Beverly Hillbillies, and several other famous cars from television and film in the Sixties emerged from George Barris's customising shop. It seems likely that without George Barrris, cars on Sixties television might not have been quite so cool. Tuesday morning Twitter users awakened to a rather big change to the social media site. Twitter replaced the term "Favourite" with "Like". 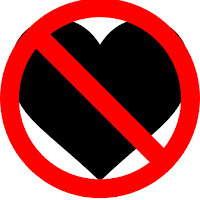 What is more, they replaced the star symbol used for Favourites with a heart symbol. To say Twitter users were unhappy would be an understatement. Thousands of people tweeted their rage at the change, while yet others wrote articles expressing their anger. One would be hard pressed to find even one Twitter user who was happy about the change. As to Twitter, their product manager Akarshan Kumar said in a blog post, "We want to make Twitter easier and more rewarding to use, and we know that at times the star could be confusing, especially to newcomers." In the same blog post, Krumar also said, " The heart is more expressive, enabling you to convey a range of emotions and easily connect with people. And in our tests, we found that people loved it." People in Twitter's tests may have loved the heart, but apparently very few Twitter users do. And while much of the outrage is probably due to the fact that people generally don't like change, Twitter users have very good reasons to be angry about "Like" replacing "Favourite" and stars replacing hearts. Quite simply, over the years the Favourite evolved a wide array of uses. Many of us used Favourite for exactly that, our favourite tweets, but others used them for a wide variety of purposes. Perhaps the most common was to bookmark a tweet with a link to a news article one wants to read later, using "Favourite" the same way Favourites might be used on Internet Explorer or Bookmarks on Firefox. Others used the Favourite button as a way of acknowledging they had read a tweet, usually one in which they were mentioned. Others even used the Favourite button as a way of politely ending a conversation. Indeed, there are yet other uses people had for the Favourite button, including even a "Hate-Favourite" (which I will not even pretend to understand). Given the number of uses to which people put the Favourite button, the star was the perfect symbol for it. The star is a relatively neutral and hence versatile symbol. It can be used to mean approval or it can be used to mean only a place marker. The star does does not come loaded with a lot of emotional meaning that would prevent it from being very adaptable in its use. On the other hand, contrary to what Twitter might think, the term "Like" and the heart symbol are not versatile and cannot be used to "convey a range of emotions". According to the Merriam-Webster Dictionary, the verb like means, "to enjoy (something) : to get pleasure from (something); : to regard (something) in a favourable way; : to feel affection for (someone) : and to enjoy being with (someone)." Whereas someone might Favourite a story with the headline, "Five Million People Killed in Los Angeles in Earthquake" in order to read the story later, there is no way they would Like that same story. Quite simply, Liking the story might make it look like they like the idea of five million people dying in a natural disaster or that they feel favourably about five million people being killed in an earthquake. By the same token, no one would Like a tweet about the death of someone's pet, political tweets with which they vehemently disagree, or a tweet advocating suicide. In other words, the term "Like" is much more limited than the term "Favourite". As to Twitter's claim that the star could be confusing to newcomers, I am calling that utter balderdash (actually I would use a stronger word, but this is a PG-13 rated blog). When I joined Twitter in 2009 I was not confused by the star or Favourites. I did not need anyone to explain the star or Favourites to me. What is more, I know of no one who has ever admitted to being confused by stars or Favourites. I think Twitter is seriously underestimating the intelligence of their users and, quite frankly, as a Twitter user I do find that a tad insulting. Over the past few years Twitter has undergone a number of changes, many of which have not been popular with Twitter users: the introduction of inline images with no way to shut them off on the web interface; a change to Twitter profiles complete with varying font sizes for tweets; and doing away with background images on Twitter profiles. Replacing "Favourite" with "Like" and the star symbol with a heart symbol is only the latest in a number of changes which seem to be designed solely to drive away Twitter's core users. While I doubt that there will be many who will abandon Twitter due to this change, there might be a few who do. As to those who remain (among which I will number), we won't be Liking tweets nearly as much as we were Favouriting tweets. I don't think that is quite what Twitter had planned. Right now I think it would be a good idea for Twitter to admit it made a mistake and to restore the term "Favourite" and restore the star symbol as well. At the very least they could bring the term "Favourite" and the star back and keep the term "Like" and the heart alongside them. Clearly Twitter users do not like having lost the ability to Favourite things and they clearly prefer the star to the heart. Unless Twitter wants to drive away core users with their next big change (which at the rate thing are going could be only a few months from now...), I think it might be the best course of action they can take. Howard A. Anderson Jr., a special effects wizard and cinematographer best known for his work on the original Star Trek, died September 27 2015 at the age of 95. Howard A. Anderson Jr. was born on March 21 1920 in Los Angeles, California. He grew up in Culver City. His father was Howard A. Anderson Sr., a special effects pioneer who worked on such films as The King of Kings (1927), Scarface (1932), and Brewster's Millions (1945). It was in 1927 that Howard Anderson Sr. founded the Howard Anderson Special Photographic Effects Company. Howard A. Anderson Jr. attended first Alexander Hamilton High School and then Hollywood High School in Los Angeles. While in high school he joined the U.S. Navy Reserve. Howard A. Anderson Jr. and his brother Darrell A. Anderson began working part-time for their father's special effects company in the Thirties. After graduating high school Howard A. Anderson Jr. attended the University of California, Los Angeles where he participated in the university's Naval Reserve Officers Training Corps. He left UCLA after two years to get married. For a time he shot industrial films for the Douglas Aircraft Company. During World War II he served in the United States Navy. After World War II Mr. Anderson joined his father's special effects company. He and his brother took the company over in 1954. He served as a cinematographer on Riders of the Pony Express (1949) and provided special effects for Prehistoric Women (1950). During the Fifties he provided special effects for the films The Man with My Face (1951), Slaughter Trail (1951), Phantom from Space (1953), Curucu, Beast of the Amazon (1956), Nightmare (1956), Invasion of the Saucer Men (1957), and The Time Machine (1960). He was a cinematographer on Unidentified Flying Objects: The True Story of Flying Saucers (1956) . It was in 1964 that the Howard Anderson Special Photographic Effects Company was hired to create special effects for the pilot for Star Trek, "The Cage". Not only did the company create the effects of the Enterprise flying through space, but also the phaser beams and the transporter effect. 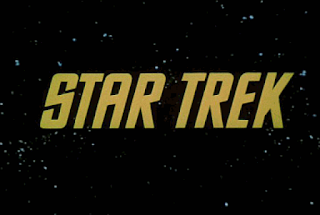 Howard A. Anderson Jr. and his firm continued to provide special effects for Star Trek until it went off the air in 1969. He also worked on the opening sequences of many TV shows, including Star Trek, Mission: Impossible, Get Smart, and The Mod Squad. Howard A. Anderson Jr. provided special effects for the movies Jack the Giant Killer (1962), Taras Bulba (1962), Tobruk (1967), and The Wicked Dreams of Paula Schultz (1968). He also provided photographic effects for the TV show My World and Welcome To It. In the Seventies Mr. Anderson provided special effects for the failed pilot Earth II and served as cinematographer on the film The Dirt Gang (1972). He worked on the opening sequences of such shows as Kung Fu, The Waltons, Happy Days, Charlie's Angels, and The Love Boat. In the Eighties he worked on the opening sequences of such shows as Cheers and The A-Team. He retired from special effects in 1990, but continued to run his company until 1994. Howard A. Anderson Jr. was one of the best special effects men ever to work in television. His work on Star Trek is enough to remove any doubt of this. While many of the creature effects look campy today (Howard A. Anderson's company was not responsible for them), its visual effects hold up fairly well even now. Indeed, it must be pointed out that something like the transporter effect had never even been done before. Beyond his work on Star Trek, Mr. Anderson did a good deal of remarkable work, particularly on openings of TV shows. Some of the most memorable opening sequences in television history were created by him. Al Molinaro, who played Murray the Cop on The Odd Couple and Al on Happy Days, died on October 30 2015 at the age of 96. Al Molinaro was born Umberto Molinaro on June 24 1919 in Kenosha, Wisconsin. He was the youngest of ten siblings. One of his older brothers became a long-time Kenosha County District Attorney. Another became a Wisconsin Assembly Speaker. It was in 1940 that young Mr. Molinaro boarded a bus for Hollywood to pursue a career as an actor. He made his film debut in 1954 in Love Me Madly (1954). In the Sixties he appeared as Agent 44 in a few episodes of Get Smart. He guest starred on the TV shows The Name of the Game and Green Acres. It was in 1970 that he was cast in the role of Murray the Cop, the none too bright policeman on The Odd Couple. He played Murray for the entirety of the show's run. It was in 1976 that he was cast in the role of Al Delvecchio, who ran Arnold's Diner on Happy Days. He played the role until the show went off the air in 1984. Al Molinaro also guest starred on the shows That Girl; Bewitched; Love, American Style; Doc; Laverne & Shirley; Rosetti and Ryan; and The Love Boat. In the Eighties Al Molinaro had a recurring role as Al Delvecchio in the ill-fated spinoff Joanie Loves Chachi. He was a regular on the short lived series The Family Man. It was in 1994 that he reprised his role as Al Delvecchio in the Weezer video "Buddy Holly". Al Molinaro had a knack for playing lovable, if somewhat bumbling characters. Both Murray the Cop and Al Develcchio were bumbling and none too bright, but at the same time kind hearted. Despite his knack for playing such characters, Al Molinaro was in reality a very bright man. After moving to Los Angeles he started his own collection agency and sold that business only to go into real estate speculation. Even as he was looking for jobs as a fledgeling actor, then, he was financially independent. While Murray and "Big Al" might not have been particularly bright, Al Molinaro was very intelligent. The fact that he played the two characters so well only shows how talented he was as well.